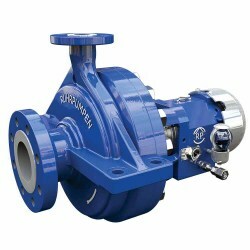 Ruhrpumpen's wide range of quality centrifugal pumps wouldn't be complete without our overhung pumps for industrial and chemical processing applications. 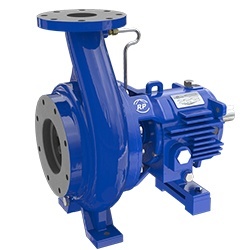 Designed and built with the latest engineering techniques and tools, our range of overhung process pumps provides industry-leading performance and high efficiencies. Our different models allow us to offer a wide range of hydraulic and material combinations to meet the requirements for several processes across industries. These process pumps models include: single stage end suction pumps compliant with ANSI and ISO standards, and horizontal API process pumps for petrochemical applications. 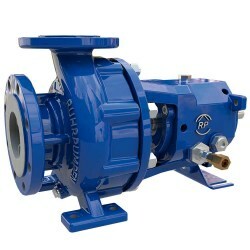 These are single stage, end suction centrifugal pumps that meet the ANSI/ASME B73.1 standard. 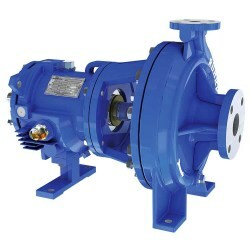 Designed around a basic hydraulic and mechanical concept, this rugged centrifugal pump is designed to operate in the toughest industrial applications. With an unmatched hydraulic range, this single stage, overhung process pump is designed for continuous duty in petrochemical and industrial services.